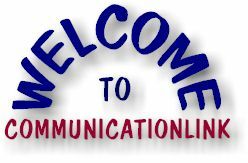 COMMUNICATIONLINK provides effective tools to help you build essential communication skills. This includes additional activities, online resources, and discussion generators to enhance your study of Effective Communication for Colleges, 8th Edition, authored by Brantley and Miller and published by South-Western Educational Publishing. an International Thomson Publishing Company.